We have been providing excellence through dedication, teamwork, and integrity since 1958. Conestoga Tile is a distributor of porcelain, ceramic, natural stone, glass and metal tiles. We take great pride in representing the most respected and revered tile factories in the United States, Italy and other points around the world. We also take great pride in the fact that we provide these spectacular products with a passion for great customer service. Whether we are working on a residential or commercial project with a homeowner, contractor, dealer, interior designer, architect or builder we are focused on providing professionalism, expertise and guidance throughout the project and beyond. We are committed to integrity, teamwork, enthusiastic professionalism, pride and family values. We will be the “Best of the Best” providers of ceramic tile products and services to our customers and pledge ourselves to a relentless pursuit of continued improvement. We invite you to our showrooms to explore the unlimited, creative and exciting ways to use ceramic, stone, glass and metal tile products as a captivating architectural feature in your home or business. Our experienced and professional tile design consultants will assist you in designing an eye-catching space which fits your taste, lifestyle and budget. With thousands of samples to choose from, a typical session with one of our design consultants ends with a very excited customer who is leaving with a conceptual design, samples, budget pricing and a smile. Builders, architects and designers, amon g others, are encouraged to use our showrooms to make their services available to clients. Not near a Conestoga Tile showroom? No worries. We have a large network of dealers throughout the Mid-Atlantic region who have many of our products on display in their showrooms. Our dealer customers are supported by a professional and knowledgeable territory sales manager, an unparalleled customer service desk, a large inventory of products for quick order fulfillment and an efficient delivery system that allows us to have the right products at the right place at the right time. Click here to find a dealer near you. At times, some ceramic tile product lines become discontinued. 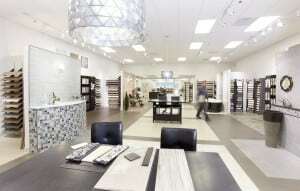 Our Hanover, PA outlet center can provide you fabulous ceramic tile products at significant savings. We thank our customers in Delaware, District of Columbia, Maryland, Pennsylvania, Virginia, West Virginia and those outside our main service area for their support throughout all of our years. Our experienced sales team assists dealers and tile contractors with marketing, technical advice, planning, new product introduction, showroom design, and provides them with samples, displays and other sales tools. Conestoga Tile’s Architectural Service Program is geared expressly to facilitate specifications by architects, professional specifiers, and designers with their commercial and residential projects. Our company’s architectural representatives call on hundreds of design offices each year. Their goal is to assist specifiers in making highly creative and practical use of ceramic tile in commercial and industrial/institutional projects. Our experienced and professional A&D representatives support A&D firms throughout the Mid-Atlantic region by providing design, specification and technical assistance as well as library samples, CEU’s and PK sessions. Conestoga Tile has always been committed to providing educational opportunities to the industry. Periodic seminars are held on tile education by Conestoga Tile employees, various manufacturers, the National Association of Tile Contractors (NTCA) and the Ceramic Tile Education Foundation (CTEF). Conestoga Tile’s Architectural Services has developed continuing educational programs certified by the American Institute of Architects (AIA) which allows architects attending these programs to receive CES credits in order to maintain their professional standing. Great products mean nothing unless you can deliver them to the customer. That’s why regularly scheduled deliveries are made throughout the five-state area covered by Conestoga Tile. Our warehouse oper ation makes it possible to receive orders for delivery of stock material up to 4:00 pm prior to the customer’s delivery day. Deliveries are made to tile contractors and dealers on Conestoga Tile’s own fleet of trucks. 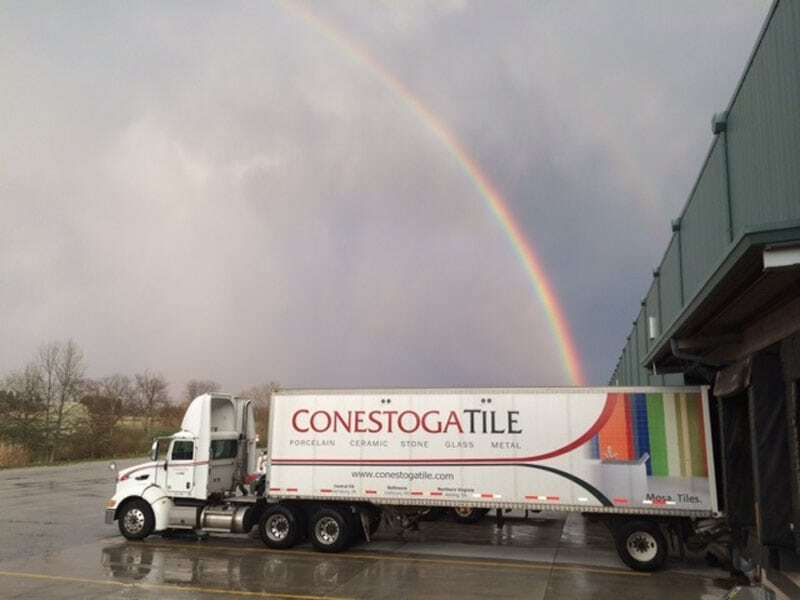 A nightly shuttle truck moves inventory and orders between each warehouse, assuring that any product in stock at any Conestoga Tile warehouse will be available on the customer’s next delivery or by 7:00 a.m. at the warehouse nearest to the customer’s business. Conestoga Tile also ships nationally to commercial projects such as malls, supermarkets and hotels. These shipments are made either from our warehouses or direct from the manufacturer. We’ve even shipped tile internationally as far away as Russia. Conestoga Tile’s team of dedicated, experienced employees are our greatest asset. Their devotion to providing superior customer service has been a major contribution to the success of this company. Many of our employees have been with us more than 10, 20, and 30 years, with the average at 7 years.